The end of the world was nigh. On 21st December, 2012, according to the Mayan calendar, “The Rapture” was due. But who knew that, apparently, there was just one place on the planet that was safe: the Valle d’Itria (The Itrian Valley). 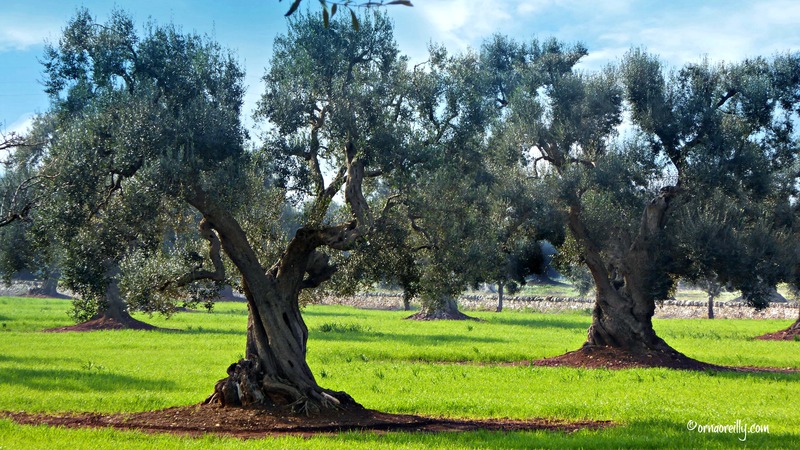 Olive trees and vineyards are predominant and foodies won’t be disappointed at the variety of foods and wines available. Pastas you will see on every menu are either orecchiette or cavatelli – both small and ear-shaped. And artichokes – in season – are abundant! Typical dishes from this area are fave e cicorie selvatiche (broad bean purée with wild chicory), orecchiette con polpette (pasta with tomato sauce and meatballs) and bombette (pork meatballs). And one must not forget to try the wonderfully creamy burratina cheese. 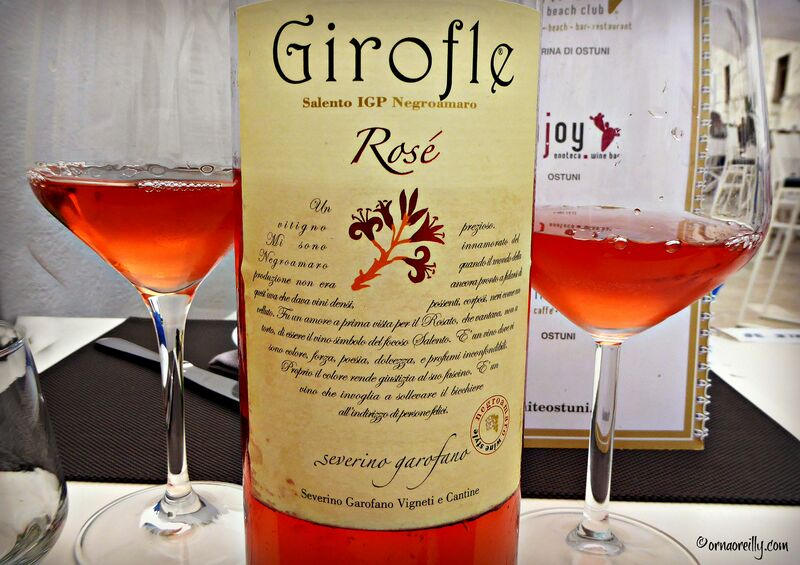 Accompanied by the local rosato wines, the food flavours are out of this world. Highly popular with tourists in summer; full of excellent restaurants – where the fish dishes are second to none – and great pizzerias and bars. 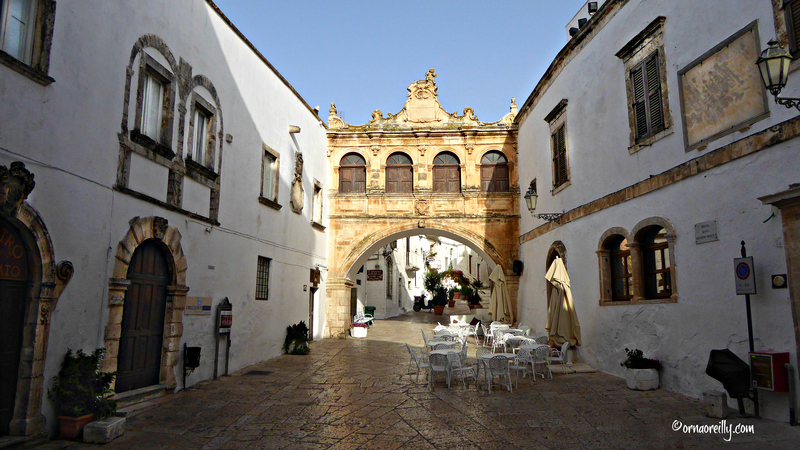 Ostuni is regarded as an architectural marvel with its white tumble of buildings topped by the Cathedral and the Bishop’s Palace. 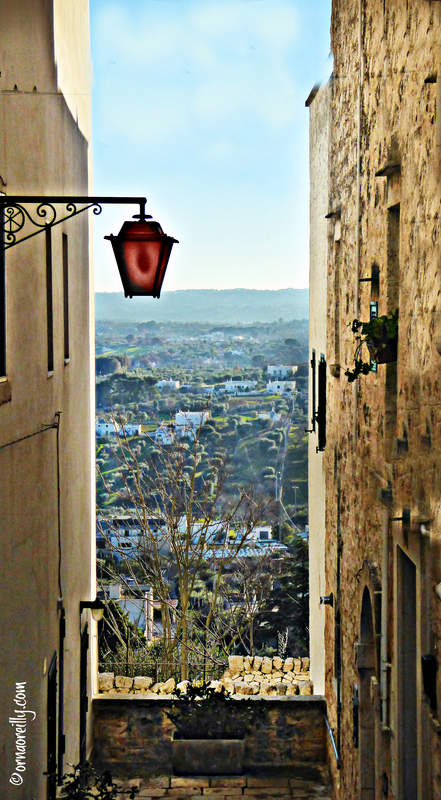 Narrow winding streets lead up to the “Old Town” within its city walls, passing by a multitude of tiny shops selling a variety of souvenirs and ceramics. You can book to stay in a Pugliese “masseria“. “Masserie” (plural) are large fortified country farm-houses, which have been adapted for visitors and contain restored farms, restaurants, self-catering and B&B accommodation. 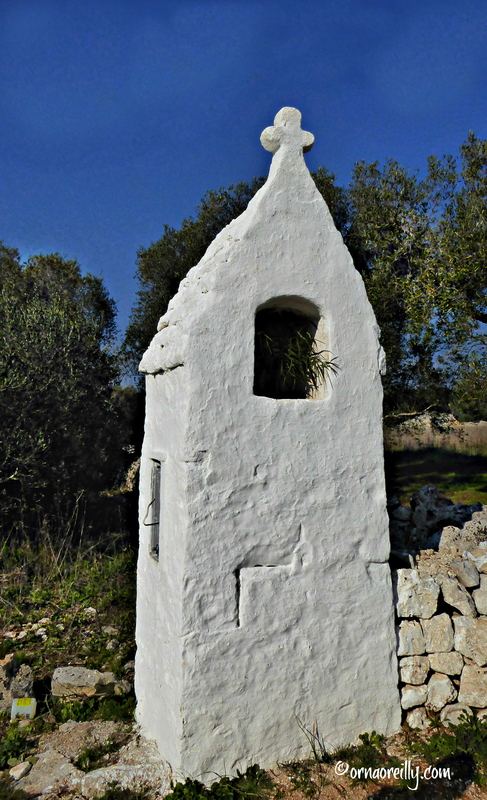 There are several in the Ostuni area. 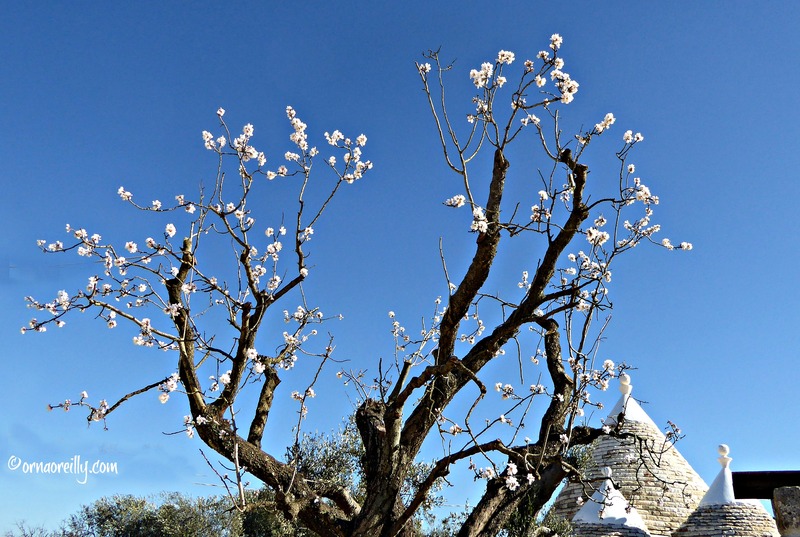 All in all, the Itrian Valley in Puglia should be on everyone’s bucket list. It is a uniquely beautiful area, populated with super-friendly people and has something to offer for all the family. As I am currently planning to move there later this year, I am well aware that the Valle d’Itria is a safe haven if the world is about to come to an end! 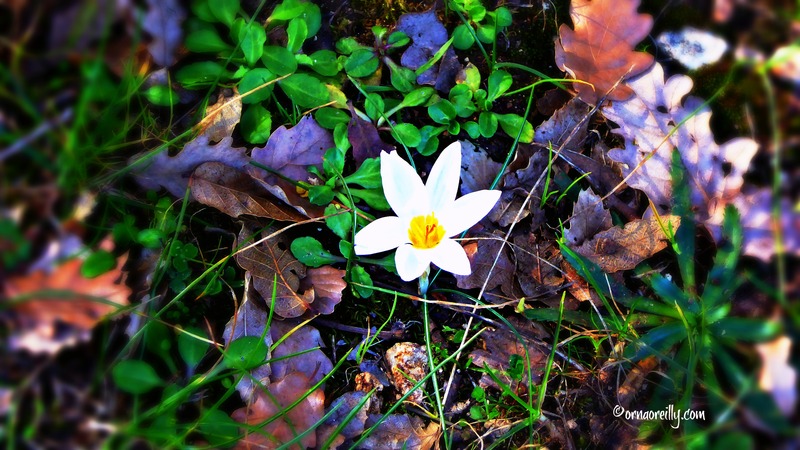 I enjoyed reading this post, Orna – took me back to my visit to the Itrian Valley in 2011. Didn’t know about The Rapture Connection though! And aren’t you fortunate to be relocating there – curious about which place you’ve chosen? Well done, Orna. But, now that the word is out EVERYONE will want to flock to Valle d’Itria, safe haven or not. Once again, you have too many delicious, in one way or another, photos to comment on each one or even choose a favorite and I enjoyed reading about this delightful place. 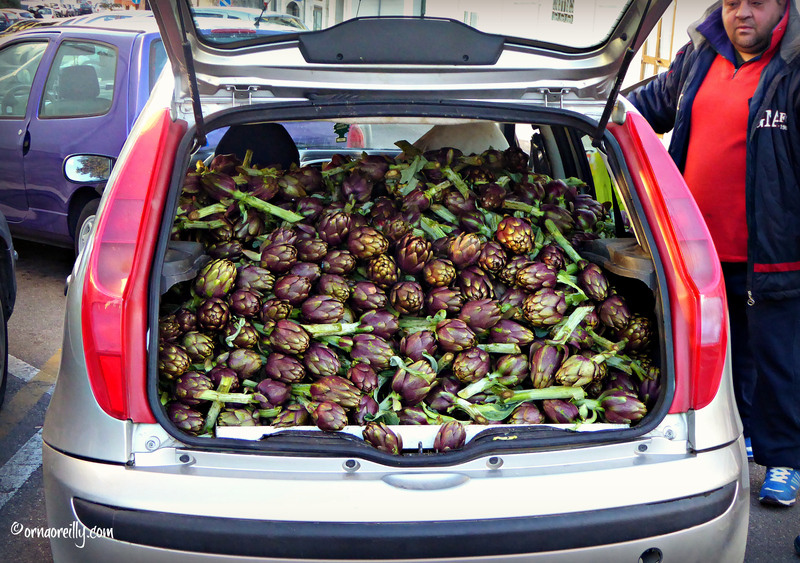 But when I saw the car filled with artichokes, I had, as our girls used to say when small, an ecstasy spasm!! Be still my heart. What a wonderful sight! A wonderful look into many of the towns of the Itrian Valley and I must say those artichokes look amazing! No I haven’t. I’ve been all over Italy to a certain degree, but I do have a lot of exploring in the south to do and is top of my list when I make it back.